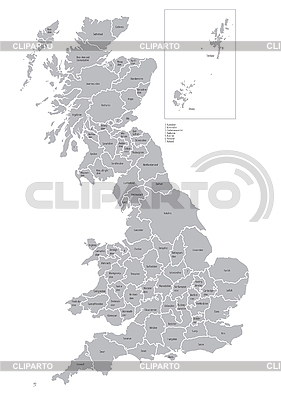 Vectorial map of Great Britain with all counties. No gradients and blends. Every county is separate curve. Names of counties are in separate layers.